Canberra is focusing on how to sustain the rules-based order given the Trump Administration’s apparent disinclination to incur the costs required to buttress that order. Some of this Presidency’s animating principles – its transactionalism, suspicion of multilateralism and protectionism– run counter to that very order. The concern is that America’s retreat from its traditional global role is allowing others, namely China and Russia, to fill the resulting vacuum – and this could result in a coercive environment in which Australia would not be able to best advance its interests. A long-term question for Australia is whether subsequent US administrations will be willing or even able to help sustain the international order, given the continuing global power shift, with China’s rise and America’s relative decline. It remains to be seen whether the Trump Administration’s ‘America first’ ethos endures beyond his presidency. While polling in the first year of the Administration still shows American public support for US global engagement, it is as yet uncertain whether Trump’s views will pervade public opinion. The Australian Government’s objective, therefore, is to maintain the rules-based order with like-minded partners. Foreign Minister Julie Bishop has stated that beneficiaries of the order must help support it as ‘the test for our generation’. Australia is deepening partnerships with European states such as the UK, France and Germany, and maintaining an active multilateral agenda. Canberra is also encouraging the US to remain engaged globally and help sustain the order that it forged and has fostered for over 70 years. Like other governments, it is watching closely how this highly atypical administration evolves. It is responding to the policy incoherence, dysfunctional processes and mercurial Commander-in-Chief by seeking points of entry and influence below leaders’ level. This includes engaging those with a more traditional view of global engagement, institutions and alliances, such as Defence Secretary Jim Mattis; engaging with Congress, after last year’s contentious Trump-Turnbull phone call showed a wellspring of congressional support; and forging sub-federal linkages, such as Prime Minister Turnbull leading a delegation of state premiers to the US National Governors Association Winter meeting. The task of encouraging the Trump Administration to help buttress the rules-based order might have become harder now John Bolton is National Security Adviser. While it is still unclear how the National Security Council under Bolton will evolve and how the dynamics between Bolton and new Secretary of State Mike Pompeo might unfold, Bolton is an inveterate multilateralism skeptic and shares much of Trump’s deals-based, zero-sum worldview. It is clear any simple entreaty to protect the rules-based order won’t work with this President. Instead, promoting multilateralism as a response to common challenges should be framed as giving the US a good return on investment by preventing threats reaching its shores. The geopolitical argument that it is not in US interests for China and Russia to fill the vacuum could be similarly useful. Many questions surround the US regional role, including the degree to which the Administration views the vital US-China relationship – and the region as a whole – through the prism of trade and North Korea. Its fledgling ‘Free and Open Indo Pacific’ strategy was devised under former National Security Adviser McMaster and former Secretary of State Tillerson, and it is unclear how it will evolve under Bolton. 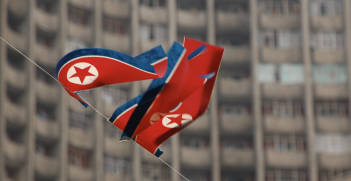 There is also the nagging question as to the reliability of America’s extended deterrence in Asia, especially if the US-North Korea summit takes place and what the President might concede for a ‘win’. The structural credibility of these security guarantees was already wearing thin due to the regional power shift; Trump’s alliance skepticism has laid it bare. Still, the alliance with the US continues to be highly important to Australia in a time of heightening regional tensions and military modernisation. The alliance provides Australia with access to vital intelligence and high-tech defence equipment. Australia simply couldn’t secure itself and its interests on its own, without a massive – and currently politically inconceivable – increase in its defence budget. In light of this, the Australian government has made the calculation to broaden and deepen the US alliance, with a focus on naval modernisation, increased US-Australian interoperability and Indo-Pacific engagement. While the alliance remains popular with the Australian public, the President himself is unpopular. So there is an ongoing challenge of communicating a first-principles and interests-based case for the alliance. Canberra is focused on keeping the US constructively engaged in the Indo-Pacific, and encouraging its participation in regional institutions such as the East Asia Summit and APEC, as well as interaction with ASEAN. But Canberra accepts the reality of shifting regional power dynamics, particularly China’s rise, and is strengthening partnerships with key regional states such as Japan, South Korea, India and Indonesia, and seeking to manage the complex relationship with China. As Australia seeks to minimise tensions between the US, Australia’s primary security partner, and China, its main trading partner, it should encourage Washington to find ways to bring Beijing into the existing order, including through increased representation in multilateral institutions. The Foreign Policy White Paper acknowledges the importance of making space for emerging powers in terms of representation within institutional frameworks. Canberra has viewed with alarm the Trump administration’s approach to trade, including its withdrawal from the Trans-Pacific Partnership and steps to impose tariffs on some countries. The Australian government is promoting economic liberalism and free and open markets, and supporting the multilateral trading system, including World Trade Organisation rules and dispute-settling mechanisms. Canberra continues to encourage the US to reenter the Trans-Pacific Partnership by reminding Washington of the benefits of US regional economic leadership, the strategic dimension of the TPP and the risks associated with a US-China trade war. But it is well aware that Trump is unlikely to rejoin the TPP in this term: his views on trade are decades old, and the influence of advisers such as Robert Lighthizer and Peter Navarro has reinforced his hardline protectionist inclination. As a result, the Australian government pushed forward with the remaining TPP 11 countries and signed the Comprehensive and Progressive TPP (CPTPP). In addition, Australia is promoting an open markets agenda with regional states (for instance at the ASEAN-Australia Summit) and global partners (such as the EU) and pursuing FTAs such as an Australia-EU FTA. The Trump Administration’s unpredictability – on top of the unfolding power shift – is therefore leading Australia to strengthen regional and other bilateral relationships and collective frameworks as it seeks to sustain the institutions, rules and norms under which Australia has prospered. Dr Elsina Wainwright AM is a Senior Fellow at the United States Studies Centre and a Non-Resident Fellow at New York University’s Center on International Cooperation. She is a former Strategy and International Program Director at the Australian Strategic Policy Institute. 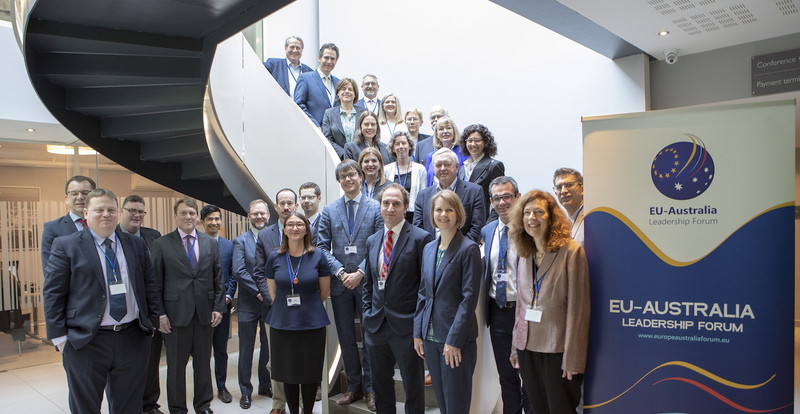 This article is based on a presentation at the EU-Australia Leadership Forum Sectoral Policy Workshop on the Rules-Based International Order which took place on 26-7 April in Brussels. The AIIA is part of the international consortium delivering this project. President Donald Trump and Kim Jong Un are due to meet in Vietnam to discuss the denuclearisation of the Korean Peninsula. If successful, their efforts could lead to a major realignment of power relations in Northeast Asia. 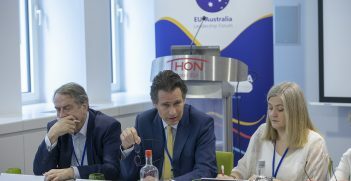 The EU and Australia look to deepen relations in the face of mounting challenges to the rules-based international order. 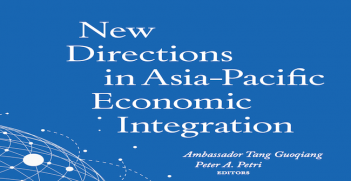 Opinions differ on how to achieve Asia-Pacific economic integration in a post-TPP era. Are regional trade deals small steps towards greater economic collaboration in the region?